There is quite a bit of stigma when it comes to mental health. Many people who are experiencing distress from their symptoms hesitate to visit a professional due to a fear of being viewed as “crazy” or “weak”. This test is a convenient online evaluation that takes symptoms from many common mental disorders and determines the general health of your mind. This quiz tests for symptoms of Major Depressive Disorder, Generalized Anxiety Disorder, Panic Disorder, Obsessive Compulsive Disorder, Borderline Personality Disorder, Schizophrenia, Schizoaffective Disorder, Depersonalization/Derealization Disorder, Dissociative Identity Disorder, Narcissistic Personality Disorder, Social Anxiety Disorder, and Bipolar Disorder. Please remember that this test is NOT a clinical diagnosis and should NOT be used to replace or override the opinion of a professional. If you believe you are experiencing symptoms, please do not hesitate to visit a professional. In the past 6 months, I have ______ experienced feelings of emptiness. In the past 6 months, I have ______ experienced feelings of worthlessness. In the past 6 months, I have gained/lost a significant amount of weight. I am comfortable with my body. I am confident in my physical appearance. I believe I am a good person. Within the past 6 months, I have lost interest in activities I used to enjoy. I don’t feel comfortable eating a food item if I don’t know how many calories are in it. I hear voices or sounds that other people cannot hear. I see things that other people cannot see. Within the past 6 months, I have had thoughts of hurting myself. Within the past 6 months, I have intentionally hurt myself (cutting, scratching, burning, etc.) ______ times. I have experienced 4 or more of the following symptoms during a panic attack in the past 6 months: heart racing, sweating, crying, nausea, stomach pain, chest pain, shaking. While feeling out of control, I eat an excessive amount of food until I am uncomfortably full ______. I have experienced a traumatic event. I have panic attacks due to this event. WIthin the past 6 months, I have had nightmares ______. I find it easy to get to sleep. I sleep too much or too little. I throw up my food after I eat it. I feel as though things are not real. I feel as thought my surroundings look 2D or fake. I feel as though my body is not my own, or as thought my mind and body are disconnected from each other. I feel as though I am living in a dream. I experience periods of extreme highs (lasting one week or longer) followed by periods of extreme lows (lasting one week or longer). I feel as though I would be better off dead. I have thoughts of killing myself. I experience torturous “intrusive” or “unwanted” thoughts. I become upset if things are not the way I like them. I push people away because I am afraid they will leave me either way. I often feel fidgety or restless. I have rituals that I need to go through with in order to feel satisfied. I am better than other people. I care about the feelings of other people. I feel as thought people are watching me when I’m alone. I love someone one second, then I suddenly feel as thought I hate them. Then I love them again, then I hate them again. I experience strong conflicting feelings towards people. I can not control my anger. In the past 6 months, I have experienced a period of complete memory loss. Example: I found myself somewhere and could not recall how I ended up there. Within the past 6 months, I have had multiple “alters” (separate personalities) that present themselves at different times. I become very nervous in social situations. I wish I was dead. There is no hope left for me. Rate and Share this quiz on the next page! You're about to get your result. Then try our new sharing options. What is GotoQuiz? A fun site without pop-ups, no account needed, no app required, just quizzes that you can create and share with your friends. Have a look around and see what we're about. What Kind of Socialist or Communist Are You? What Kind of Socialist are You? Which Type of Socialist are You? 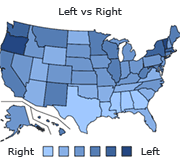 Try the top political quiz on GoToQuiz to find where you fall on on multiple axes, then compare your results to others'. Send feedback about GoToQuiz, report a bug or error, make a suggestion!